Yes, that’s right. Mack rail buses are still being operated in the United States on the eve of year 2014. Per Sperry Rail Service, unit SRS403 (Mack FCD serial no. 1005), produced in 1954 and powered by a 170 horsepower Mack END673, is still in active service and working a very busy schedule. Originally operated by the New York, New Haven and Hartford Railroad as unit number 14, this Mack FCD rail bus is 59 years old and has served its current owner for 55 years. THAT my friends, is testimony to what cutting edge Mack engineering was all about. 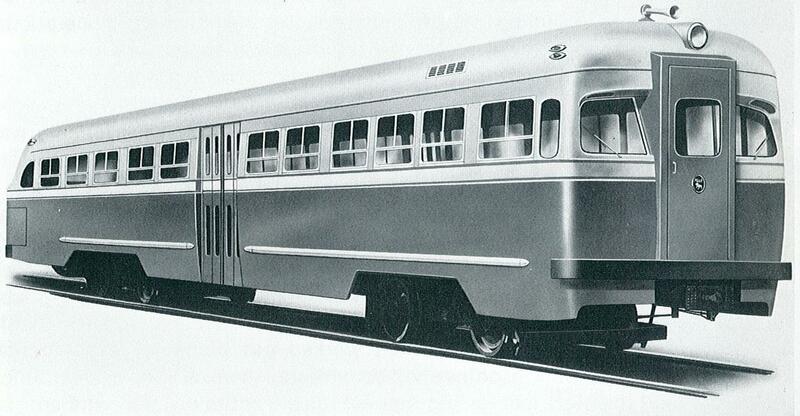 Engaged in the design and production of rail buses from 1920, Mack Trucks was one of the American pioneers of light rail development, culminating with the advanced model FCD rail bus of the 1950s. In July and September of 1958, the New York, New Haven and Harford Railroad sold two Mack model FCD diesel-electric rail buses to Sperry Rail Service of Danbury, Connecticut. 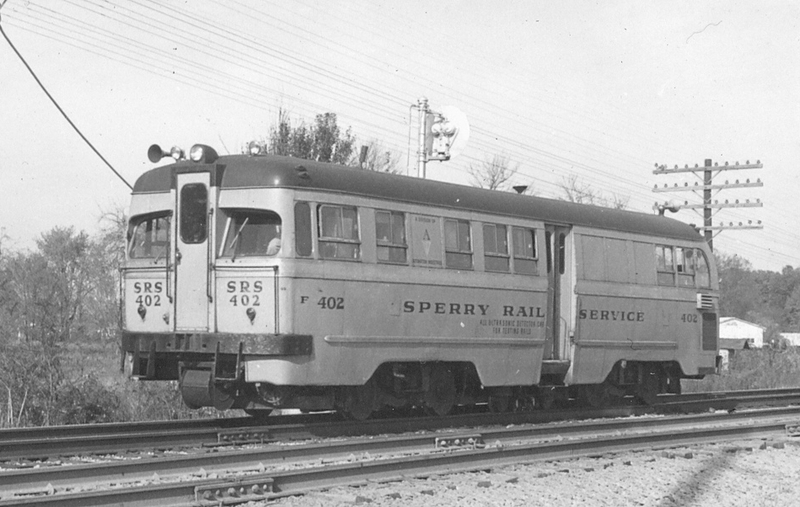 Sperry subsequently converted one of these Mack FCDs into a rail test car under the designation SRS402 (serial no. 1010 / the former NYNH&H #19). Sperry retained the second unit (serial no. 1009 / the former NYNH&H #18) as a parts source. In October 1958, Sperry shipped SRS402 via the port of New York to Cologne, Germany where the J. Krautkramer Company installed ultrasonic detection instruments. While in Germany, the West Waggon Company modified the body structure, replacing the original 4-piece rear window arrangement with a near vertical 2-piece configuration for enhanced visibility at the rear control station. SRS402, built to conduct four tests per year over the New York Transit Authority’s subway track system, was painted in New York Transit Authority (NYTA) colors. Catalytic mufflers, which help rid diesel exhaust of carbon monoxide and hydrocarbons, were installed for underground operation. 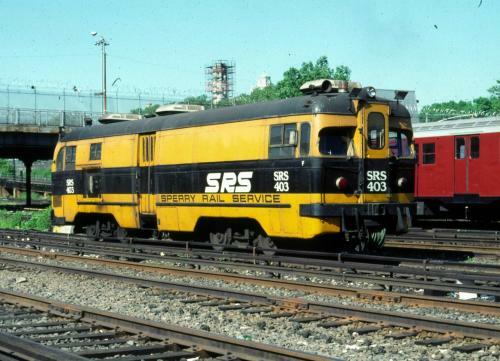 Twenty-seven years later, SRS402 suffered a traction motor fire in 1985 while returning to the United States from Ontario, Canada via the Detroit-Windsor Tunnel (Those Mack FCDs certainly do get around!). 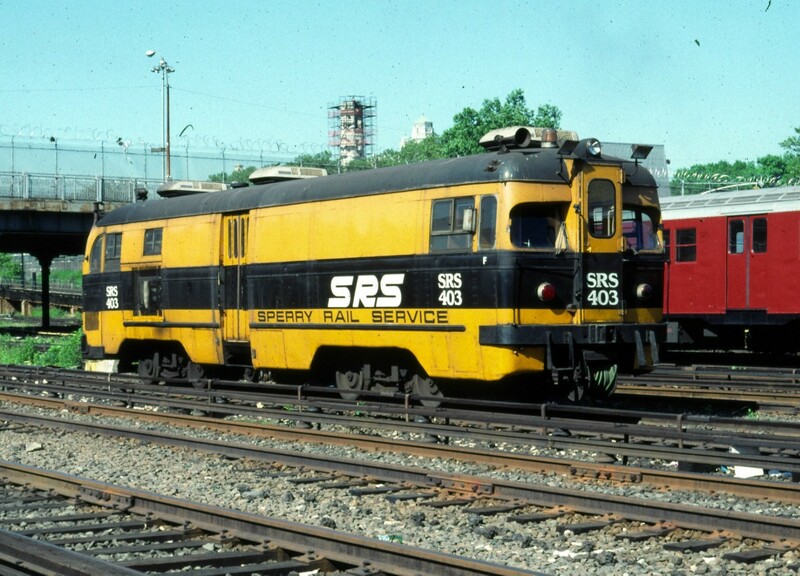 As a result of the unexpected retirement of the fire damaged SRS402 in 1985, Sperry that same year acquired two Mack FCDs from Remington Arms where they had been engaged in intra-plant freight service at the company’s Bridgeport, Connecticut facility. At the time of purchase, Remington Arms #1 (serial no. 1005 / the former NYNH&H #14) was still operational, while Remington Arms #2 (serial no. 1006 / the former NYNH&H #15) had at some point been removed from service and used as a spare parts source for Remington Arms #1 (It was transferred to Sperry via a flatcar). Sperry converted Remington Arms #1 into a rail test car at their Danbury, Connecticut facility, equipping it with the undamaged ultrasonic detection instruments from SRS402 originally installed in Germany by the J. Krautkramer Company. The former Remington Arms #1 was then designated by Sperry as SRS403. Like Remington Arms, Sperry retained Remington Arms #2 as a spare parts source for SRS403 (the former Remington Arms #1). 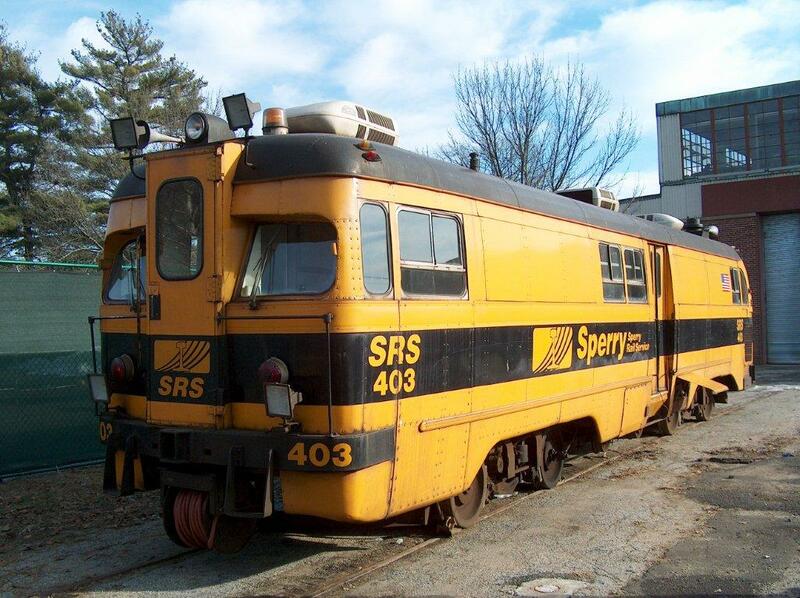 In 1996, Sperry Rail Service donated the former Remington Arms #2 to the Danbury Railway Museum where it awaits restoration. 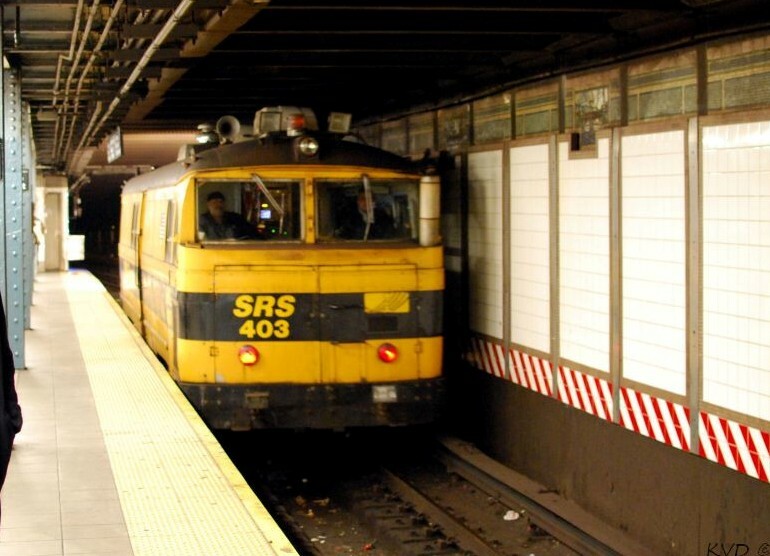 SRS403, painted in Sperry’s traditional yellow paint scheme, continues in operation to the present day roaming the New York City subway system and wherever duty calls performing ultrasonic rail testing for microscopic fissures. Sperry’s Mack FCD locates hundreds of track defects annually that could otherwise lead to catastrophic accidents. Sperry continues to use 59 year old Mack FCDs on the New York City Transit Authority’s subway lines not only because of their dependability and performance, but also because Sperry’s newer and larger rail test cars won’t fit through many of the city’s dated subway tunnels. 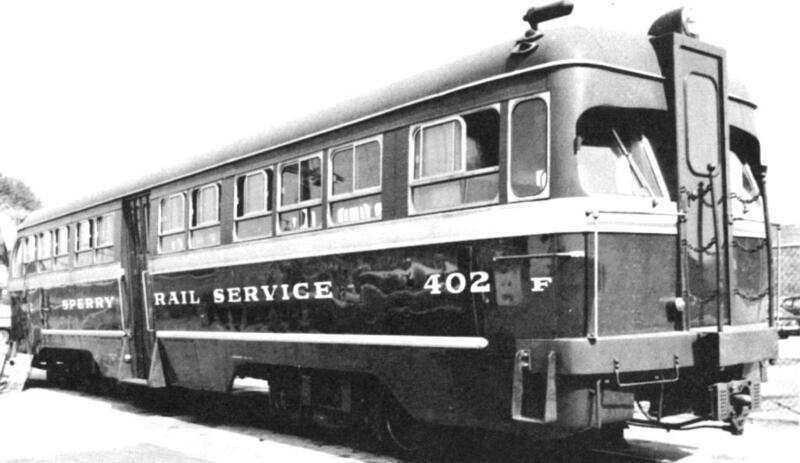 Sperry Rail Service now has tentative plans to retire SRS403 in 2015, at which time this Mack FCD will have been in service for 61 years. 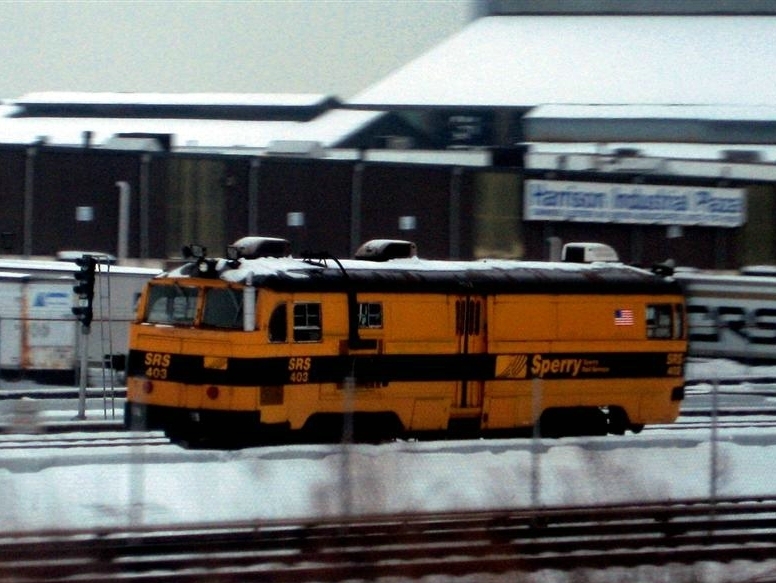 It would be commendable of the Mack Museum to begin a dialogue with Sperry Rail Service now and formalize an agreement to repurchase this extremely rare (and operational) example of Mack rolling stock when it is retired. The real Mack lives on, fantastic ongoing history of how things used to be. Ive seen them on the side RT 7 in Ridgefeild Conn.always wonder what they were used for. That's awesome. I used to see it when I lived in the city and didn't know until now that it was a Mack. Good old thermodyne 170. Would run forever. 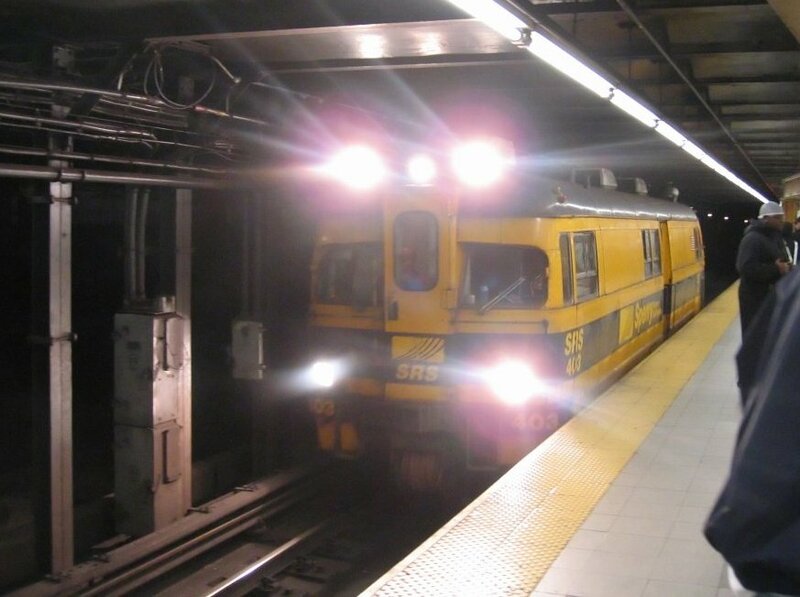 Cool story, didn't imagine there are some of them rail buses still in service. I remember seeing that rail bus or a sister to it sitting in the Danbury rail yard when I was a kid .It sat but the old coal trestle where HiHo Diddario ,(He was a big Mack user after the IH's) had there concrete plant just resting in the overgrown weeds . some of the old high wire equipment used to keep it company. When I returned from Vietnam most of the rail yard was cleaned out(round house burned etc.the it turned up at Sperrys along with a stripped NYC subway car body. An electric contractor wound up with the subway body in the early 80's for storage . 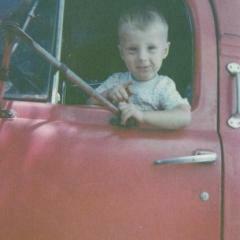 I saw a picture a few years ago of one of the old dump trucks with HI HO welded into the side as ribs for the body. When I left Ct they were still running the single steer axles on the all green trucks ,Onions and Garlic were gold and aluminum. A lot changed up there after mid 1980's.